The new Moto G4 Plus instills several improvements over the last generation model and is more in line with current market trends. Motorola offers a new octa-core chipset, a larger 5.5-inch display, a fingerprint sensor and a 16MP camera sensor. It is still thick, but clever design and flatter back prevent it from looking chunky. A key highlight of Moto G3, i.e. water resistant body, hasn't been passed on to G4 variants. The Moto G4 Plus is, however, splash proof. The 5.5 inch full HD display is sharp and the Snapdragon 617 octa-core chips seem to be a good performer. The 2GB RAM variant comes with 16GB of internal storage which can be bumped up via microSD card. The primary highlight of the Moto G4 Plus is its primary camera which did well in our initial low light testing. The selfie camera looks quite decent as well. The 3000 mAh battery supports turbo charging. Unlike Moto G4, The G4 Plus will also include turbo charger within the box. Other features include 4G LTE, Dual SIM connectivity, Mono front facing speaker, and latest Android 6.0.1 Marshmallow software (Motorola is good with Android version updates as well). 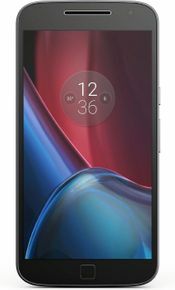 The Moto G4 Plus are some well-done mid-rangers, marrying performance that should be adequate for casual users with some very attractive pricing.The phones would compare slightly more favorably to the rest of the Android pack. Right now they're still pretty good phones – they just exist in a world where some better-equipped models are just around the corner. The Moto G4 Plus was hands-down the one to choose. Having used both handsets for weeks and days at a time, however, we've taken an about-turn on that initial feeling.Plus does have plenty of positives, in that it can handle the day-to-day with no troubles and lasts out for a decent period of time per charge, but in the wider context of the smartphone market it has its minuses too.